We are grateful that you are considering supporting this ministry of love! We simply could not do what we do without the generosity of those who are led to give! 100% of our support comes from individuals and a variety of local churches, businesses, and clubs. 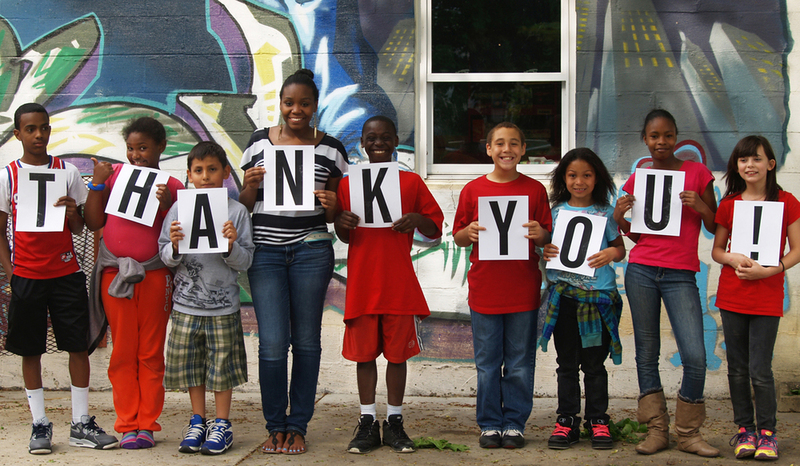 We are incredibly grateful for the many folks who support this vital work among vulnerable youth in Chambersburg! Please note: we plan to phase out JustGive / JustGiving, as their fees are high. All gifts to NETwork Ministries are tax-deductible. If you desire to have long term impact with NETwork Ministries, consider making recurring monthly gifts. The easiest way to do this is to submit an Authorization Agreement Form for automatic giving or to contact your bank about their Bill Pay options. We're honored by those who faithfully give each month; your consistency greatly increases our financial stability as an organization! As a registered 501(c)(3) nonprofit organization, we treasure every gift given to NETwork, and aim to operate with complete integrity, using each dollar to further our mission. NETwork is a bronze-level GuideStar Exchange participant, demonstrating our commitment to transparency. Complete financial statements are available upon request. 1. Donate to NETwork Ministries while you shop by using Giving Assistant, where shoppers save money at over 1800+ popular retailers like eBay, Target, Kohl's, Bed Bath & Beyond and Best Buy, all while earning cash back and raising funds for organizations you value. 2. AmazonSmile will donate a very small % to NETwork for every purchase you make on their website. Select NETwork Ministries.